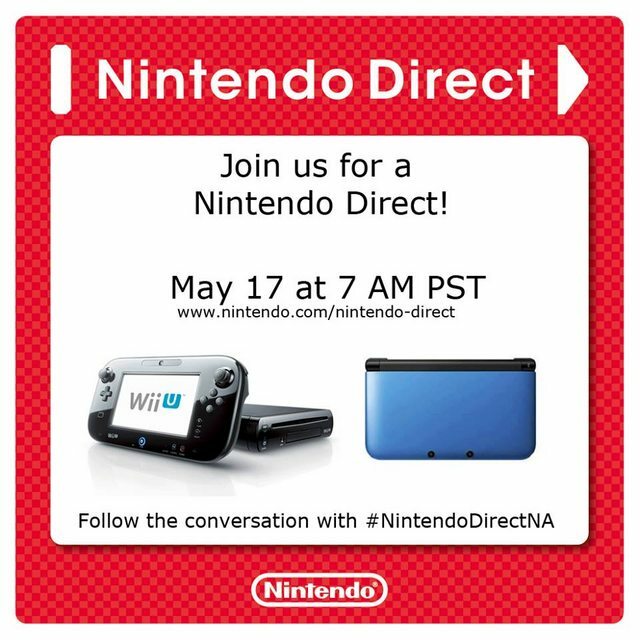 New Nintendo Direct on May 17th!! We’ll discuss future Wii U titles for fall and onward in a Nintendo Direct before the start of E3 2013. Now I’m pretty sure most people already know what a Nintendo Direct conference is, so I’ll skip the explanation. If you are like me, you are probably already hyped just hearing about these. Nintendo is set to finally announce some Wii U & 3DS games for Spring & Summer! 3DS honestly has enough games announced and ready to go, it’s the Wii U that has been in a drought since launch. We already have a date for Pikmin 3, August 4th. Game & Wario is coming at the end of June, so I am guessing we are going to hear about The Wonderful 101 and some other games revealed in the past. Can’t wait to see what they have in store for us!